ARE YOU LOOKING FOR A NEW PROPERTY IN TURKEY? I have read and agreed to the policy on the protection and processing of personal data and the terms of data use. I would like to receive e-mails / SMS / phone calls, newsletters about promotions and promotions related to products and services of Proje Land Digital Services Marketing and Trade Inc.
Work with a trusted partner to find your new property in new developments that best suits you in Turkey. 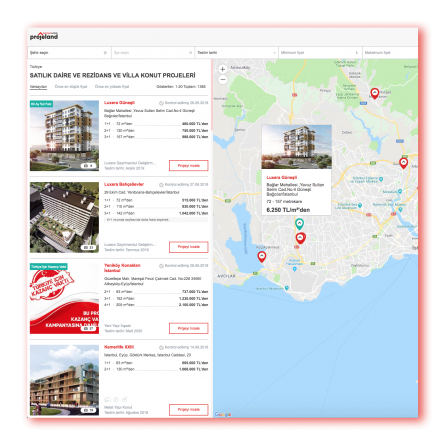 You can choose your new property in Turkey among 4.200 up-to-date new development projects on projeland.com. I have read and understood the information described in detail in the Proje Land Digital Services Marketing Inc. ("Proje Land") Enlightment Text and Protection of Personal Data Policy (KVK Policy) and I consent on the rights within the scope of the Law on the Protection of Personal Data and the relevant legislation; my personal data is processed and stored by Proje Land in relation to the works, activities and services to be provided within the scope of Proje Land; to the transfer of the Proje Land’s business partners, to the relevant construction companies and to the third parties authorized by the construction companies for the purpose of informing and contacting the residential projects. You can reach us from the e-mail address: projeland@hurriyetemlak.com and you can use your rights under the Law on Protection of Personal Data No. 6698 and the related legislation through the means of communication mentioned in the Protection of Personal Data Policy, (KVK Policy) on our website at www.projeland.com. WE HELP YOU CHOOSE THE RIGHT PROJECT! Hürriyet Emlak Projeland is your personal assistant. Tell us your priorities and criterias and our experts will find the best property that suits you. 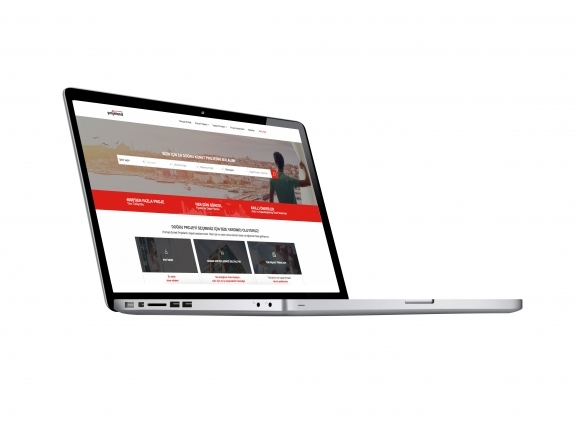 We make your property buying process simple and fun for you. To find your dream home among hundreds of new projects, we work hard to choose the ones that best suit your criteria and price range! You don't need to visit all projects one by one. 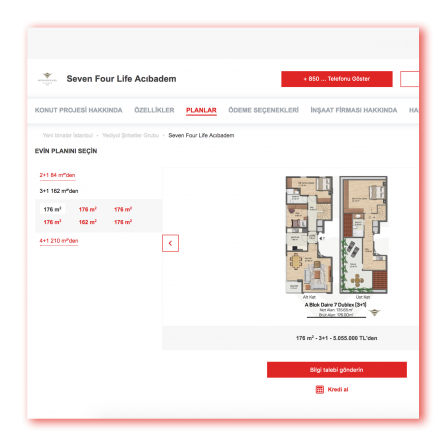 We bring more than 4.200 projects online with their price and floor plans checked and approved. All projects are at your fingertips with 360-degree virtual tours, drone shootings, visuals of surrounding areas and video reviews of projects! Copyright © 2018 Projeland.com All Rights Reserved.